The McKee Street Bridge over Buffalo River represents an unusual design of a reinforced concrete girder bridge. The unusual feature[s] of this bridge are the partial through-girders, which rise about the roadway to form two parabolic curves. The 120' long structure consists of three spans of continuous concrete girders supported on concrete piers and cellular-type abutments. Four lanes of traffic are accommodated on a 38' wide brick surfaced roadway. The total width of the bridge includes cantilevered concrete walkways outlined with special design steel hand railing. The bridge is built on a 23-degree left forward skew. The unique design of the McKee Street Bridge was a response to the challenge of creating a bridge that could provide adequate clearance for small craft navigating Buffalo Bayou. The sharp angle of the bayou at this location created an additional obstacle in building a bridge. After considering several spanning technologies, city bridge engineer, J.G. McKenzie utilized a continuous through-girder configuration. The selected design provided adequate horizontal clearance with a 120' span over the main channel of the bayou. To compensate for the angle of the crossing, the bridge was build on a skew with the piers and abutments laid out with their downstream footings offset by arranging the floor beams over the supports at perpendicular angles. The unusual appearance of the bridge is a result of designing the girders to follow the calculated bending moment curve. The two curves that rise as waves above the roadway represent the reverse curve created by the intersection of two simple parabolas at a point of tangency 15' out from the center of each support. J.G. McKenzie designed the structure, with assistance from engineers L.C. Wagner and H.D. Hilborn. General contractor, Don Hall Constructor, Inc., built the bridge for approximately $122,000 with money set aside from a 1929 bridge bond issue. At the time of its construction, the McKee Street Bridge was considered to have the longest main of its type in the United States and appeared in several engineering periodicals. The McKee Street Bridge is significant under Criterion C, Engineering, as a distinctive and unusual example of reinforced concrete through-girder bridge. The bridge is the only known example of its type in Texas. The bridge is also noted for the length of the main span as an engineering solution to a difficult site crossing. The bridge has retained its integrity of design, materials, workmanship, location, setting, feeling, and association. The McKee Street Bridge meets National Register eligibility under Criterion C, Engineering, at the state level of significance. In 1974 when Kirk Farris, a local artist and environmentalist, saw the McKee Street Bridge for the first time, he was immediately drawn to the area. After receiving his degree in Environmental Science from San Houston State University in 1975, Farris hired on as an Investigator for the Harris County Pollution Department, where he worked until 1979. During these years, Farris realized the bridges over Buffalo Bayou were monuments to the culture that built them. By telling the bridges' stories, he could also tell the story of the bayou. 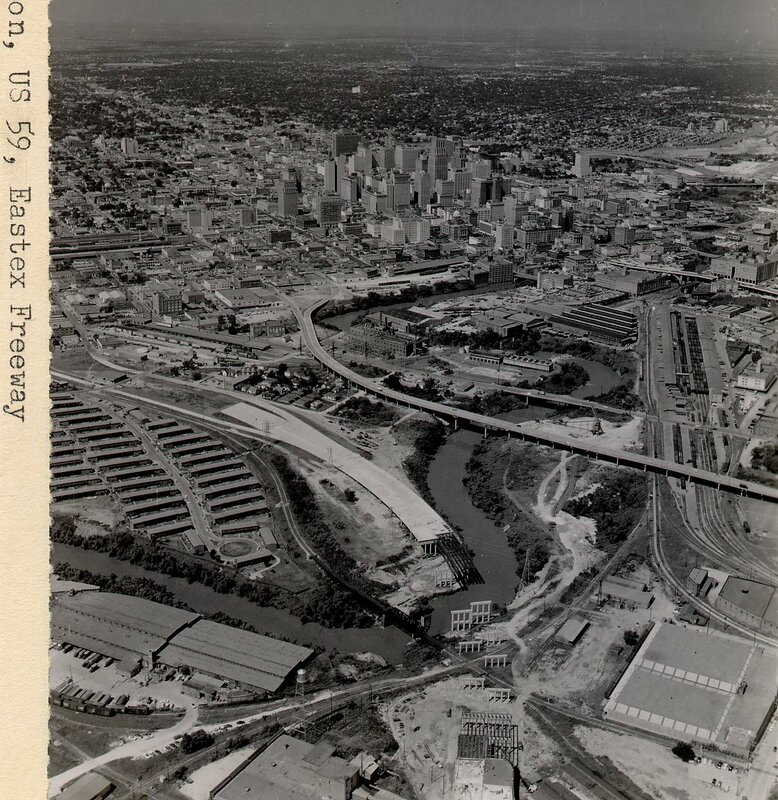 In 1980, Farris received a grant from the Cultural Arts Council of Houston (CACH) to prepare an exhibition about the bridges over Buffalo Bayou. In 1982, Farris and photographer Paul Judice created an exhibition, Bridges over Buffalo Bayou, that was was displayed at the Houston Public Library's downtown branch. Farris and Judice photographed all existing bridges and created eleven color-enhanced blueprints of the more significant bridge structures. The Houston Public Library's archives were researched, and reproductions of photographs of previously existing bridges were displayed. The exhibition established a visual method of depicting the historic development of Houston along the bayou from its beginnings to the present. 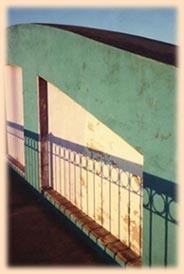 It was one of the vivid renderings of an original elevation of the McKee Street Bridge displayed in this exhibition that gave Farris the idea of bringing the colors to life. 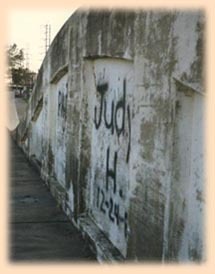 The idea also caught the interest of members of the Mayor of Houston's staff, as well as members of the city's Public Works Department, and in 1983, the City granted permission to Farris to paint the McKee Street Bridge. The following year, Kirk Farris received a matching grant from CACH for the project. To manage this project, in 1985 Farris formed the not-for-profit Art and Environmental Architecture (AEA) organization. Through AEA, Farris solicited and received money and support from foundations, corporations, and individuals to act on the project and to match the CACH grant. The same year, with paint donated by the Bute Paint Company and lighting supplied by Wholesale Electric Supply Co., Farris completed the revitalization of the McKee Street Bridge. 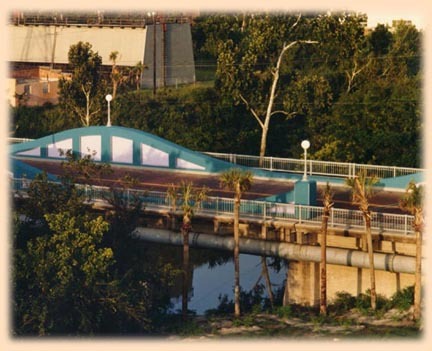 July 19, 1985 was declared Bridge Day, and a celebration and ribbon-cutting ceremony took place for the renovated McKee Street Bridge and the adjoining, newly slated, Harris County Park. The bridge is now on the National Engineering Record with the Department of the Interior and was placed on the Texas Antiquities Commission list.